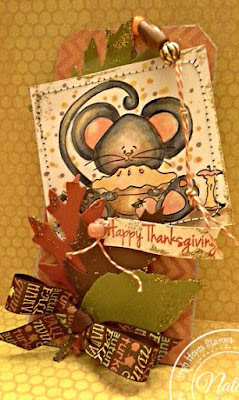 Happy Thanksgiving -- Apple Pie fun! High Hopes Apple mouse found here! 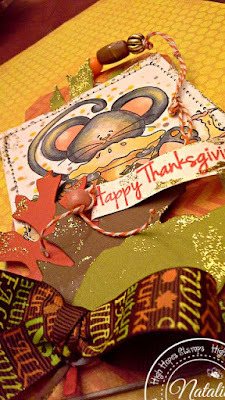 Fall pattern paper all added to the tag. 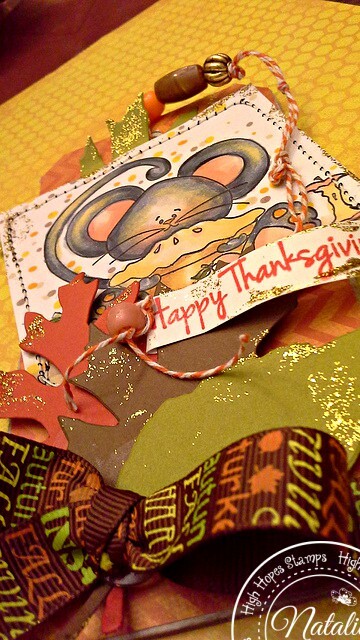 I added a Fall text bow and some gold Stickles too! The spooky spider brads are from eyeletoutlet. 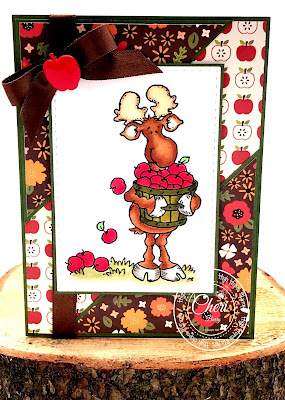 The patterned paper is by Doodlebug Designs. 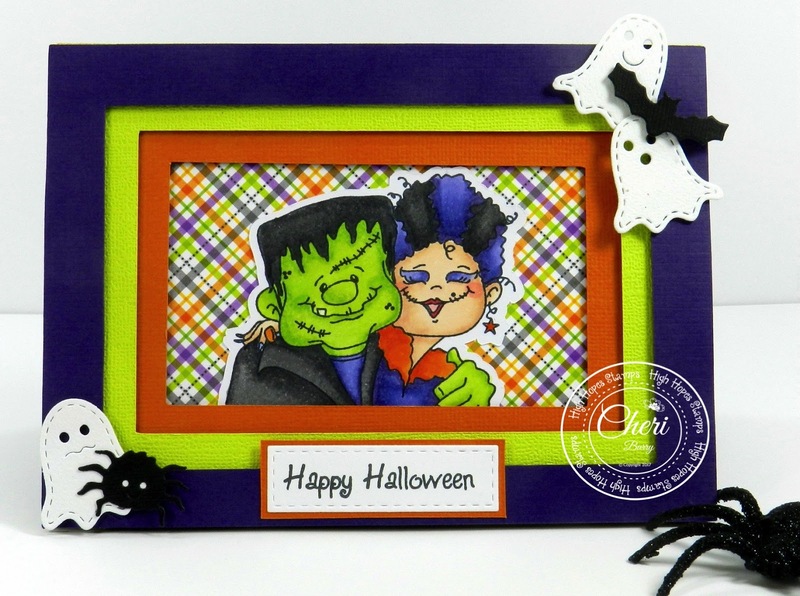 I also used the Simple Happy Halloween sentiment stamp. 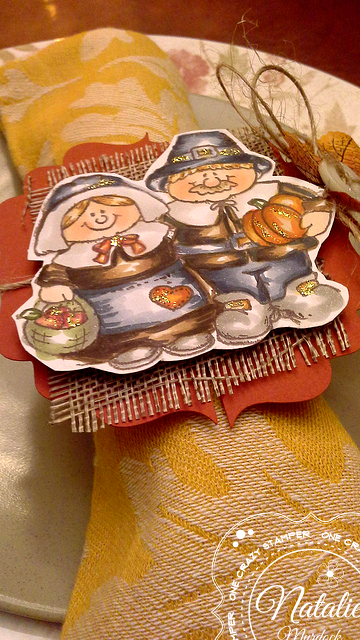 I have one more fall, Thanksgiving themed card to share with you this month. 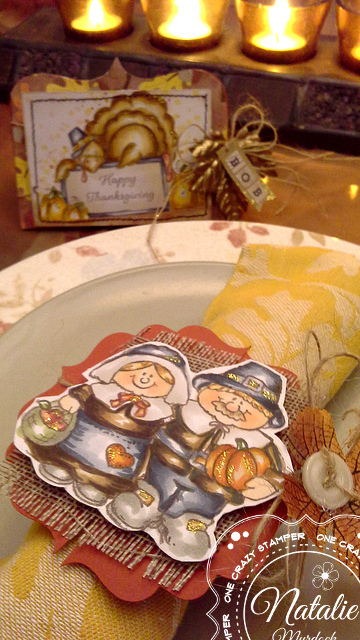 Fall is my favourite time of year and so is Thanksgiving. I am thankful for my family and friends, and I am grateful for the things I have accomplished and the challenges I have survived. This week's card is more of a simple layout then I usually do. 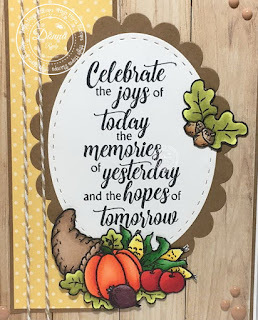 I love this sentiment and I wanted to find a way to use it to have it be the focal point of my card along with a horn of plenty with lots of fresh produce in it. 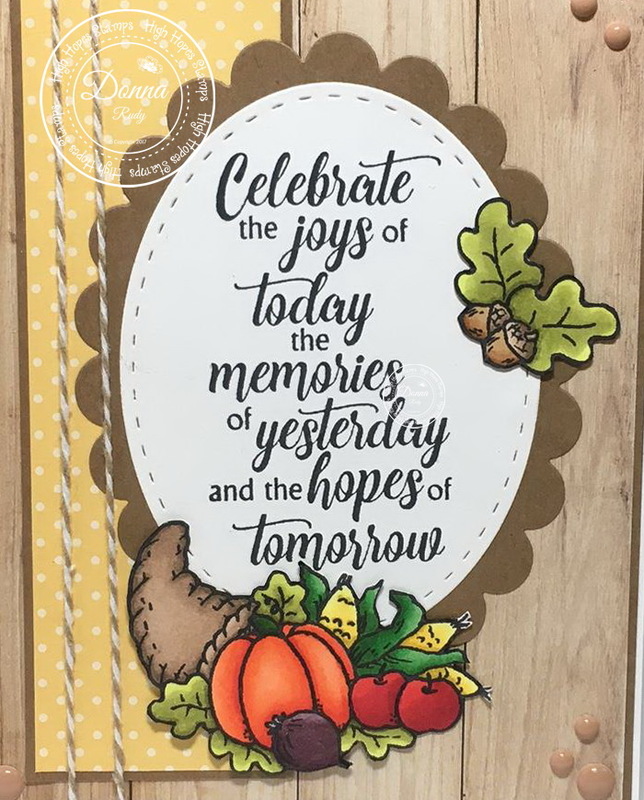 I cut my stitched oval circle and then using my Misti, stamped the sentiment. I cut a scallop oval to put behind it. After colouring my stamps with alcohol markers I hand fussy cut them. 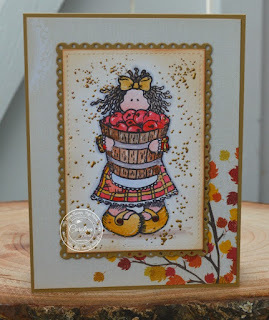 I added my stamps to patterned paper from Simple Stories and Carta Bella. 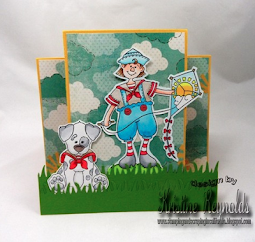 Some twine and gumdrops finish off my card. Howdy - MichelleO here today - are you like me? 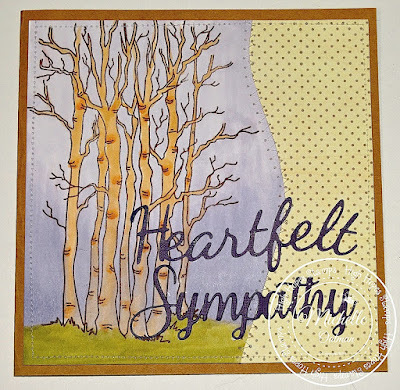 Sympathy Cards are probably the toughest to make for many of us. But needed at times. 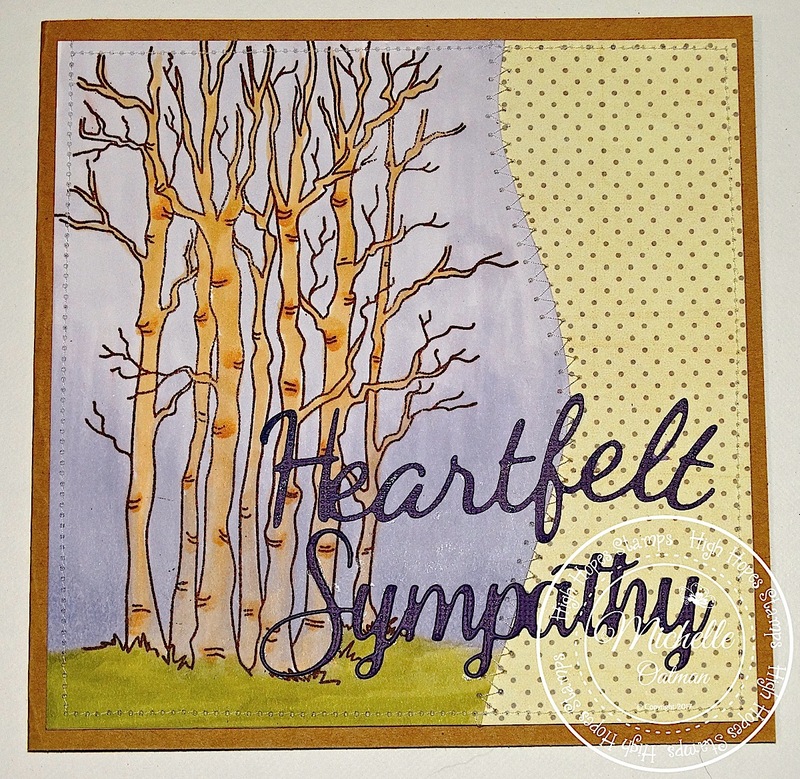 I like to keep my Sympathy cards a bit more simple and focus on the image. The new High Hopes Stamps "Birch Trees" have so many uses. 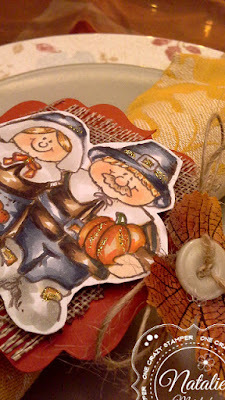 Fall... Halloween... Winter... and they worked well for this needed Sympathy card. This is a large stamp - and fills my card nicely. 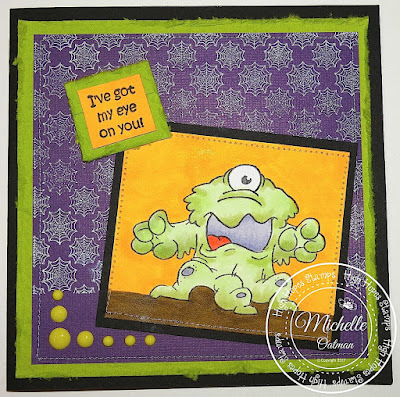 I stamped out the image and colored with my Copics. Then found a piece of kraft card stock for the base and a piece of Prima pattern papers to use with it. I free hand cut the scroll side of the image and sewed it down with a zig zag stitch onto the pattern paper, then sewed around the entire piece with a straight stitch, then attached to the base. 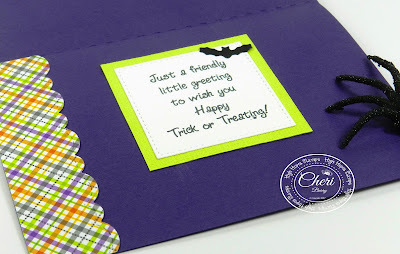 For my sentiment I used Whimsy Stamps dies Heartfelt Sympathy in a dark purple. 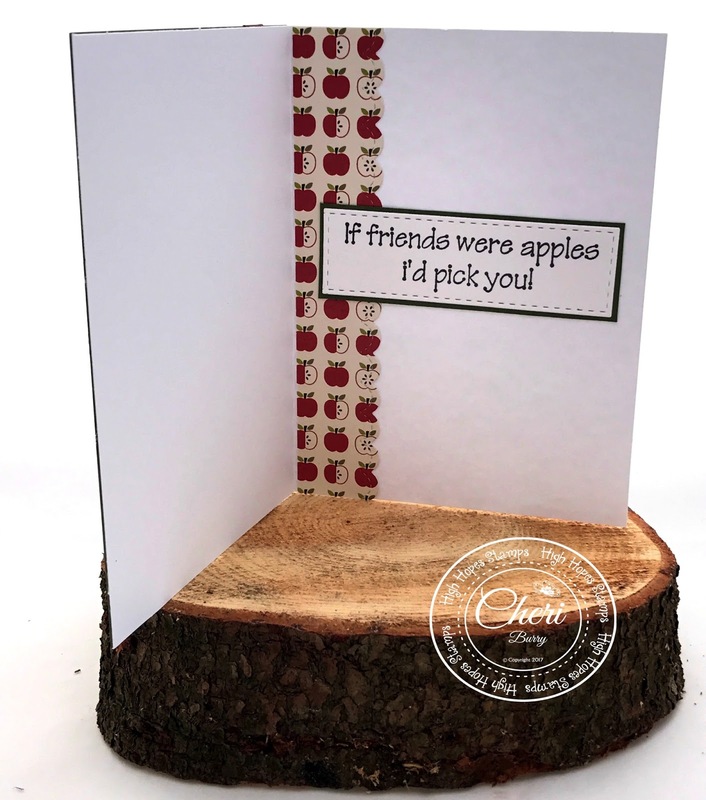 Really tough for me to do these simple non embellished cards, but important with this one. 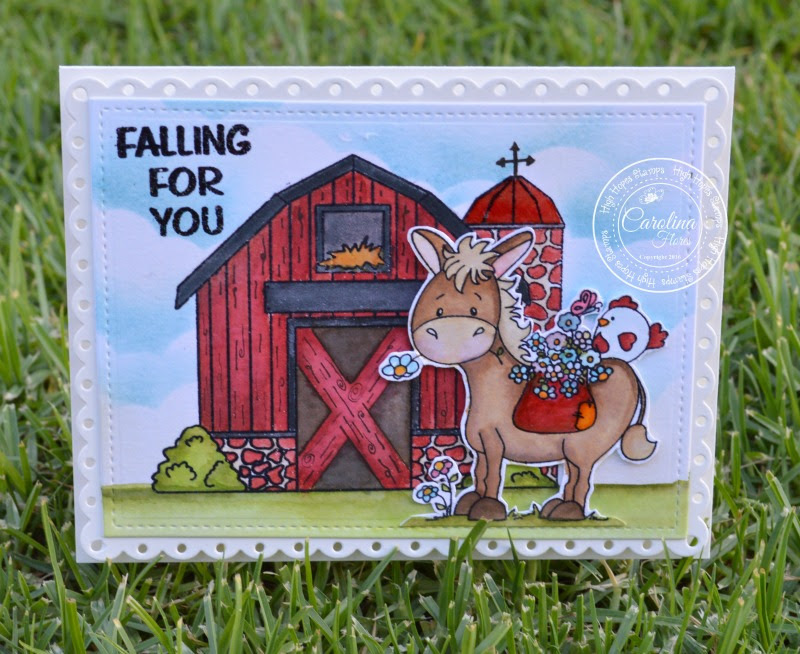 I love this background stamp and as a stamp all on its own. 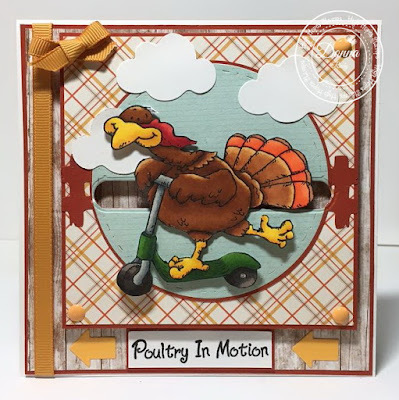 To see all the new stamps at High Hopes Stamps click HERE lots of beautiful stamps and fun stamps! 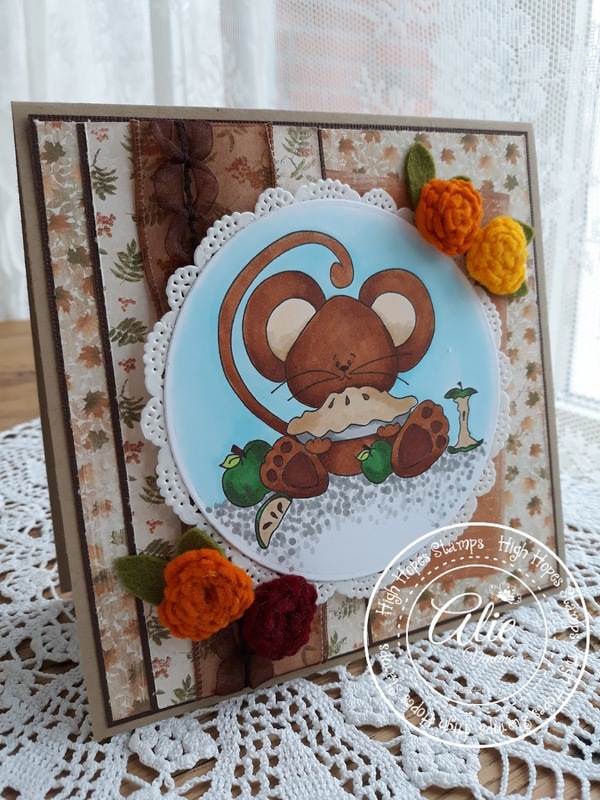 For today a have made a clean and simple Autumn card. 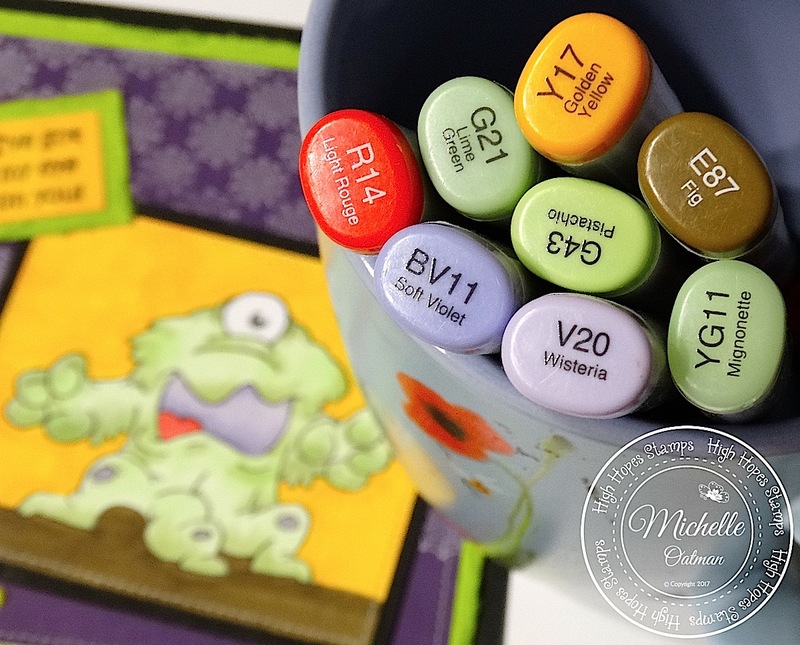 Image was colored with my Gansai Tambi watercolors. I cut out Annie's using a stitching rectangle. Used Vintage Photo Distress ink and Gold Fran-tage embossing powder. I used some 6X6 paper 'Like Home' from Little Yellow Bicycle. Last couple of weeks I am into baking things. Love to spend time in the kitchen with my kids.. Cakes, cookies and other yummie goodies we've made.. I've used the lovely dessinpaper Walk in the forest by Maja Design. 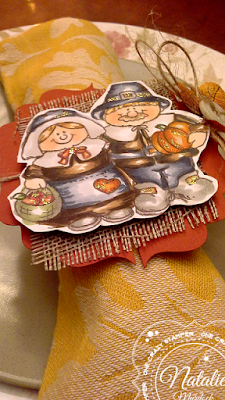 And while trying to figure out a better system for my ribbons I came across two lovely brown ribbons I knew I had to use for a Fall card.. Love the brown-orange ribbon, it matches the paper perfectly! 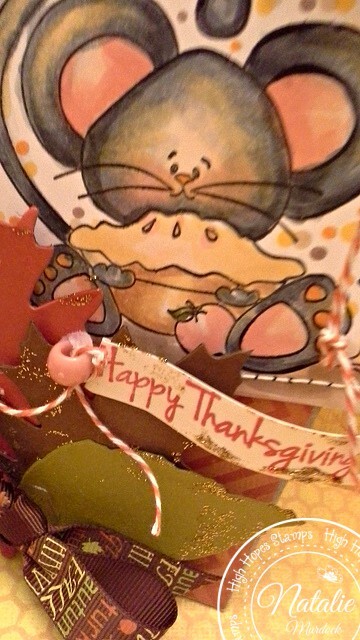 This cutie is Apple Mouse Pie. I added a few (homemade) felt flowers too. There is still time to play along with our montly challenge!! Hop on over to our Challenge blogpost to find out how you can win 2!! 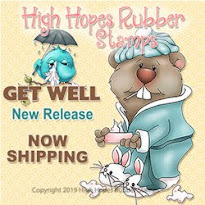 free High Hopes Stamps!! 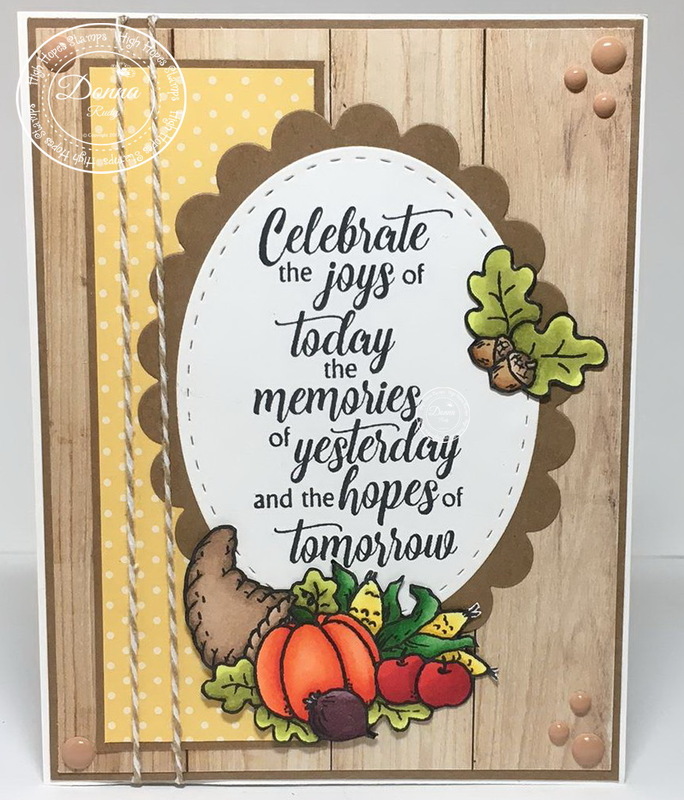 It's Friday again and I am back with another fall inspired card! 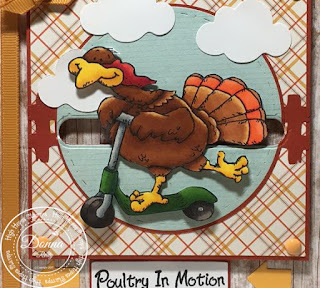 This is one of my favorite stamps from High Hopes and I look forward to inking it up every fall. The image is called Harvest Mice. The sentiment is Happy Fall Y'all. The patterned paper is Doodlebug Designs. I hope you got some good inspiration! Howdy - MichelleO here today and I am using one of the older Halloween images. This guy and I have a special bond.... This is "Willy One Eye"
I don't make a lot of Halloween cards - but Willy One Eye just cracked me up when I saw him years ago. Still makes me laugh every time I look at him. I colored with my copics and then stamped out the sentiment that I love with him. For my background I just knew I wanted to use the brand new High Hopes Stamp "Spider Web Background" wonderful large background stamp. I stamped it directly onto the dark purple card stock with Memento White ink. Love how that white ink works on dark card stock so vibrant! 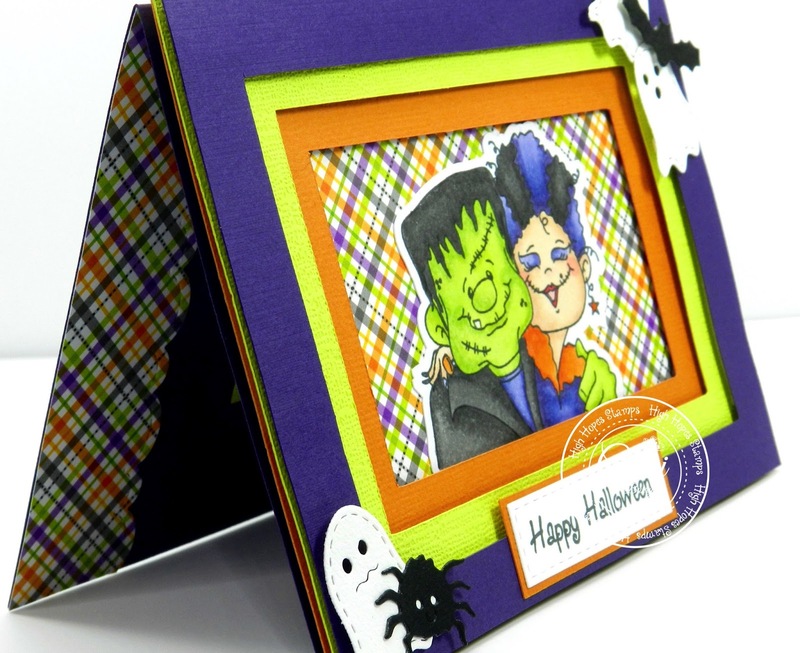 I matted on a piece of Coredinations fiber paper.. fuzzy like paper that is fun to use. I sewed down the layers and used black card stock for the base. A few Enamel Dots just added a little more fun matching up with that bright green paper.